In the first book of a lush fantasy trilogy about warring countries, family secrets, and star-crossed lovers, eighteen-year-old Branwen finds an enemy washed up on the shore of her kingdom. Rather than let him die at the hands of her people, she nurses him back to health as they begin to fall in love. Branwen helps him escape with his life - only for him to return during a diplomatic visit under his true identity: Prince Tristan of Kernyv. In an epic King's Tournament that ensues, Prince Tristan prevails - joining his nation of Kernyv with Branwen's nation of Iverni. As the politics become more complicated and Branwen's power grows, she must choose between her own happiness and the fate of her kingdom. Kristina Pi?1/2rez is a half-Argentine, half-Norwegian native New Yorker who has spent the past two decades living in Europe and Asia. She holds a PhD in Medieval Literature from the University of Cambridge and has taught at the National University of Singapore and the University of Hong Kong. 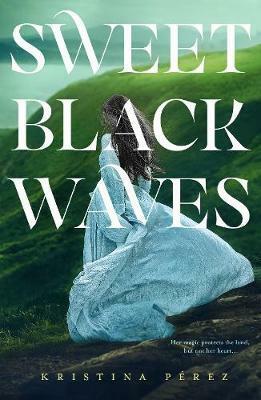 Sweet Black Waves is her debut novel.